"This is the family Reserve of the Domaine, made from the youngest vines which are producing their first grapes. They are just at the begining of their life, so their roots are not very deep in the soil yet. 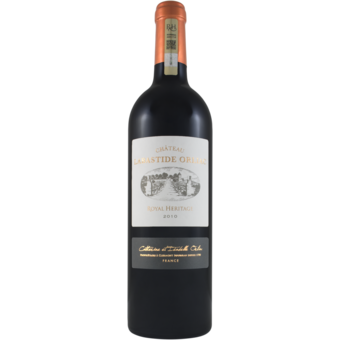 The result is a lighter wine, ready to drink sooner, but with an obvious family resemblance with Royal Heritage and Le Prince. 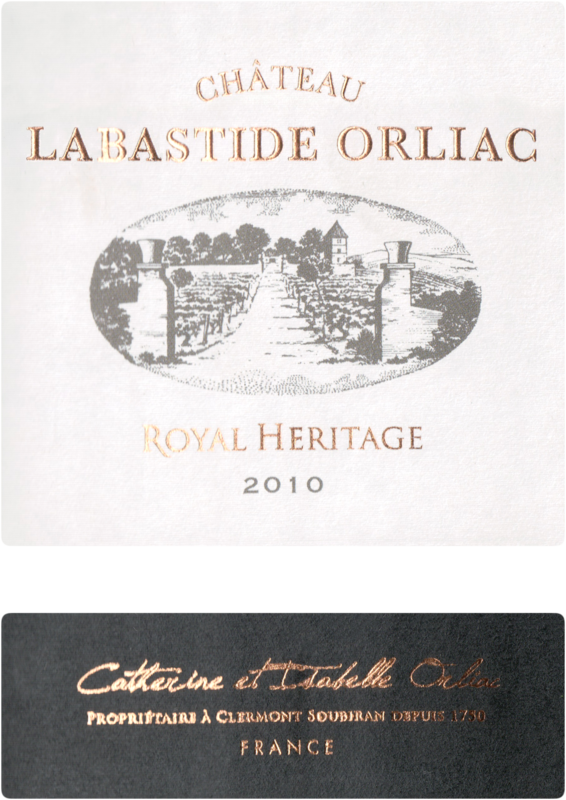 Chateau Labastide is the only wine estate situated on the right bank of the Garonne river (Southwestern France) producing 'appellation Brulhois' wines due to the fact its soil consists of a type of clay very similar to that of the Pomerol region. It allows the production of merlots presenting intense aromas. The cabernet franc, cabernet sauvignon and tannat profit from the continental climate leading to full maturity of the tannins, creating good health and longevity.